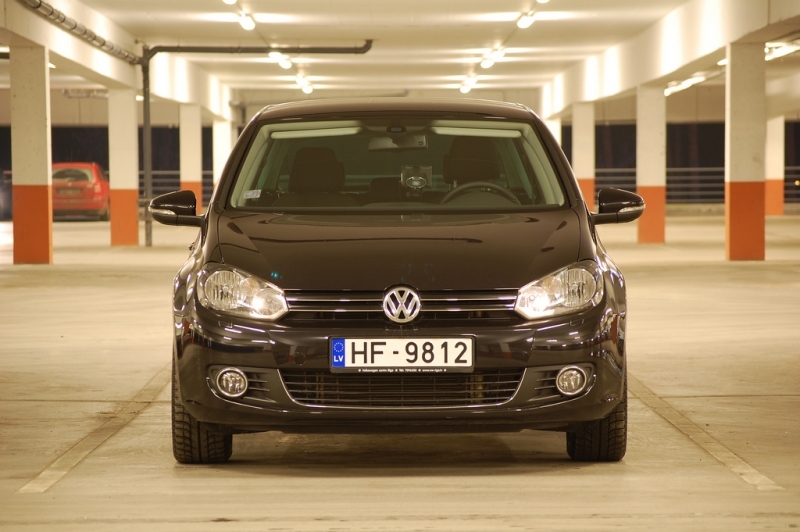 Here we go again with another round of recalls, this time involving 162,240 GM cars. This recall is extremely important as the Takata airbags are being blamed for some gruesome injuries. 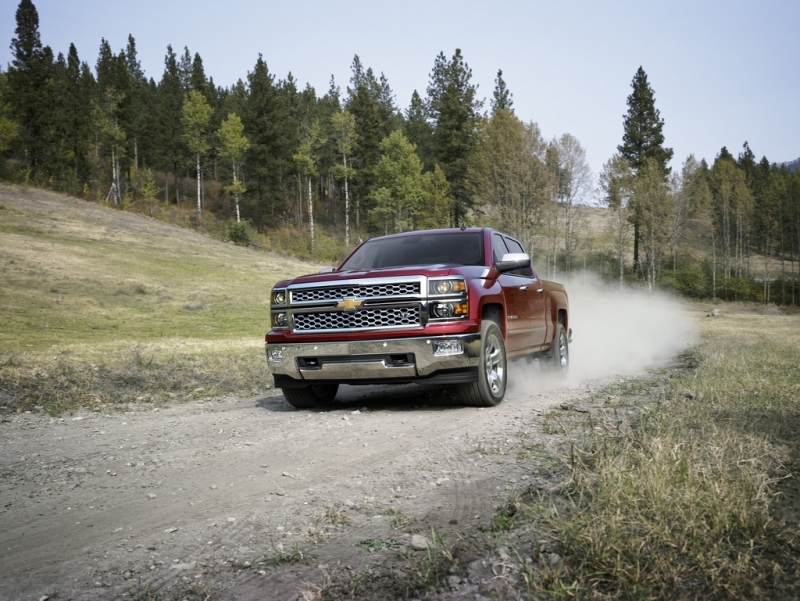 Without any further delay, here is the list of GM models that are part of the latest recall. If you own one of these, don’t hesitate to bring the car back to the dealer. Acura Going AWD To Compete With Subaru and Audi? According to a report by Automotive News, Acura is looking to make AWD standard on all their models and go the route of Subaru and Audi. But is it too late for the Honda-owned luxury car manufacturer? 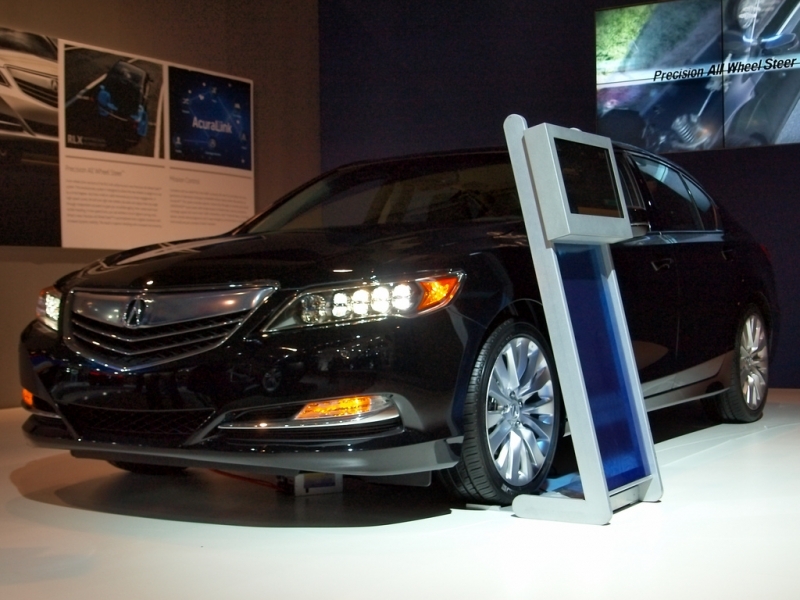 While going AWD creates benefits for the consumer, Acura has to distinguish themselves from Subaru and Audi first. What is the Acura brand? Who are they marketing to, and are they a luxury car company, or more similar to Subaru who market to consumers that need AWD to deal with snow and difficult terrain? Subaru has already built up a strong tradition of manufacturing durable and long lasting AWD sedans and station wagons, and their Impreza and Legacy are in a league of their own that’s very difficult to break through and compete. Audi on the other hand is pure luxury that offers AWD as standard, but their cars are predicated on luxury more than off-road capability. Their sedans and smaller crossovers are competing against BMW and Mercedes Benz, and it would be a mistake for Acura to jump into the fray and compete against the best the automotive world has to offer. Acura needs to change their image, or promote the brand that displays a definte direction so consumers know exactly what they’re buying. Introducing a crossover SUV wouldn’t be a bad place to start, and then figure out where their sedans compete in the automotive market. AWD is the right answer, but to the wrong question. Consumers don’t know where Acura fits in the luxury market, and they have no idea whether it’s a luxury brand or not, especially with the changes they’ve made to their lineup by getting rid of the TL and TSX. Acura has a lot of questions to answer and evaluate where their brand stands among its competitors, but when it comes to standardizing AWD on all their models, they’re on the right track. Author Mike CerraPosted on October 14, 2014 October 14, 2014 Categories Automotive WorldTags Acura, Audi, Automotive World, Subaru, Subaru Impreza, Subaru LegacyLeave a comment on Acura Going AWD To Compete With Subaru and Audi? Has Italian Ownership Changed The Chrysler Group For The Better? When Italians and Americans come together the end result is usually awesome, and Fiat-Chrysler is no exception. What has transpired over the past few years for the American manufacturer is a combination of the first three Rocky films, as Chrysler was this beat-up, almost irrelevant company, and in a matter of a few short years has become a force to be reckoned with. 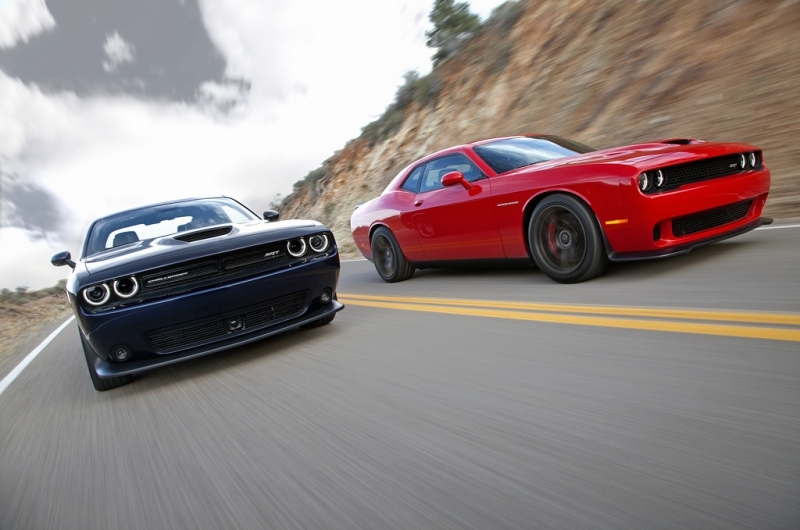 While Chrysler is changing the definition of American luxury, Dodge has become the automotive world’s version of Rocky Balboa; two tons of Italian-American muscle that has redefined what muscle cars are. Starting with the Dodge Challenger Hellcat, clearly Italian influence is making its impact as the new muscle car now has a 707 hp engine, which makes it the most powerful American muscle car ever manufactured. But Dodge didn’t stop there, they’re now Hellcatting the Charger, which just like it’s brother, will be the most powerful four-door sedan sports car to come out of America. While Dodge’s SRT department retains the credit for creating the two beasts, Italian ownership clearly had some input on the power. Seeing that Fiat owns Ferrari and Alfa Romeo, they’ve incorporated Italian engineering with American muscle which has spawned two sports cars that’s making the Dodge Viper obsolete and forgotten. By 2016, we’ll also have an SRT Dodge Dart which is certainly going to draw some attention, as smaller, powerful four-door compacts are becoming a trend. Even though the company is still Dodge, you can’t help but feel that it’s becoming an Italian car more than American, which is a good thing. The Chrysler group needed a push in the right direction, and by having a luxury manufacturer in Chrysler, and now what appears to be the performance division in Dodge, there is the right balance that’s boosted sales throughout the year. Jeep on the other hand is becoming Fiat’s extended arm, as the new Jeep Renegade will be based off the Fiat Panda, a vehicle we don’t get here in the United States. The Jeep Cherokee has definitely been Italian-ized with that new, European look. It’s been recently reported that Jeep claimed Trackhawk as their performance name, raising speculation that we might see a Hellcat-like SUV that may change the perception consumers have on SUV’s in general. Right now things couldn’t be better for the Chrysler group. They’re producing vehicles consumers want, spanning across multiple age groups that’s reshaped their customer base, and becoming more like a European auto manufacturer than American. Their new image of being young, fun, with a dose of luxury has certainly changed how Americans see the Chrysler group, and they’re now seeing strong sales because of it. Author Mike CerraPosted on October 10, 2014 October 11, 2014 Categories DodgeTags 2015 Dodge Charger, Chrysler, Dodge, Dodge Challenger, Dodge Challenger Hellcat, Dodge Charger, Dodge Dart, Fiat, JeepLeave a comment on Has Italian Ownership Changed The Chrysler Group For The Better? When you think of Volvo, safety, reliability, and the famous steel cage probably come to mind which is a good thing, especially for a car manufacturer. However, these three qualities have created a dilemma for the Swedish auto maker that is becoming detrimental to the company as the years have passed. Next time when you’re commuting and notice a Volvo, are they new, or six to seven years old? Most likely, the answer would be the latter. Having noticed this every morning, it’s become apparent that Volvo owners are too loyal to their older cars, and not going to the dealership to trade them in. In 2012, Volvo ranked 1st in owners who keep their old cars the longest. On average, Volvos stay with one owner for over 7 years before they’re traded in, and more astonishing, only 30% of those trade ins were to buy another Volvo. Brand loyalty is down considerably, despite the Swedish auto maker manufacturing better, more modern vehicles that should be appealing to younger buyers and not the 50 somethings. What is the underlying issue though, and how can Volvo get back what they’ve lost over the past 15 years? The biggest problem is that Volvo owners have no reason to visit a dealership unless it’s for a routine checkup or oil change, because their cars don’t break down or have any mechanical failures that other manufacturers experience. Because of this, consumers aren’t seeing the new models in the showroom, or aren’t even exposed to newer Volvo’s. As an owner of an S40, I can attest that it’s extremely difficult to think of owning a different car or a newer Volvo, and having seen and talked to other owners both in person and on Facebook, I’m not the only one who can’t part ways with his or her sedan. Most of the photos that are shared on social media are all Volvos made prior to 2010, and surprisingly, there appears to be more love for the older S60 design than the current one, which in my opinion, the 2014 S60 is a work of art. Another reason some Volvo owners may hold onto their cars is because their models are no longer in production. The C30, C70, S40, V50, and V70, to name a few, are no longer being made or sold in the United States, and while for some auto manufacturers that’s not a problem, for Volvo, the owners of these cars are attached and are more likely going to continue putting money into their vehicles. Volvo dealerships need to attract consumers, whether they’ve owned previous Volvos, or are first time buyers to the brand. 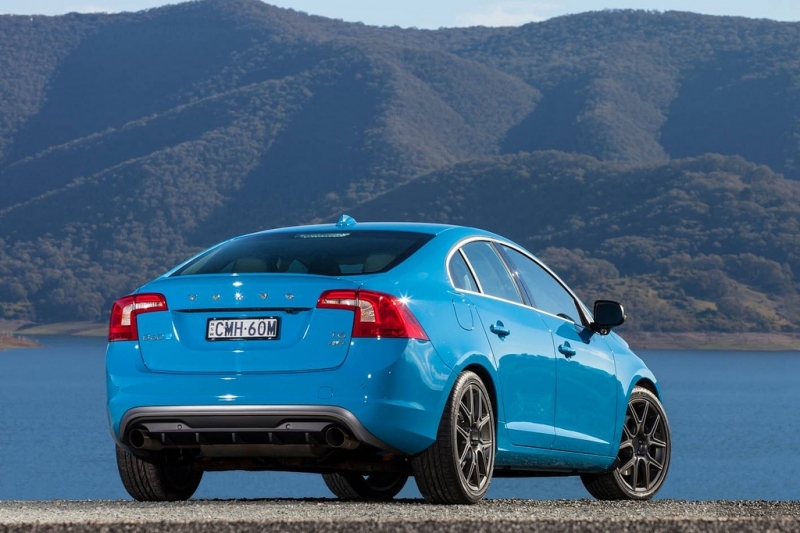 The new look S60 and V60 are great cars, and with the AWD options, turbocharged engines, and the comforts of a luxury vehicle, these cars could easily sell if they could get owners of older Volvos to consider trading them in. For some manufacturers, they need to stop thinking conventional, and start looking outside the box and reach new customers. Right now, Volvo and many other auto brands aren’t doing that. Volvo is not Saab (thank goodness), but if they don’t start getting people into dealerships’ doors, they’ll be looking down the same road as their Swedish counterpart. Is Luxury Taking On A Whole New Meaning In The Automotive World? If someone walked up to you fifteen years ago and said that Subaru, Honda, Mazda, and Toyota were making four door sedans that rivaled the Germans, would you believe them? Or better yet, if that same person told you Audi, Mercedes Benz, and BMW were offering smaller vehicles with starting prices near $30,000, would you think they were joking? 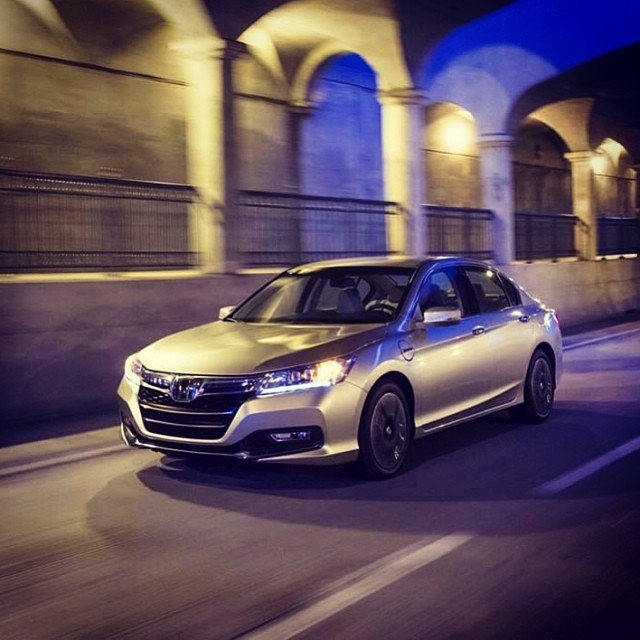 The reality is, in the year 2014 the Subaru Legacy, Honda Accord and Civic, Mazda 6, and Toyota Camry and Avalon are all on par with German luxury vehicles, but for a fraction of the cost. While the big three German auto manufacturers are entering the cheaper luxury markets, the Japanese and even the Americans are meeting them with top notch vehicles that might make you question your bias towards a certain car brand. The fact that any car can have an LCD monitor, leather seats, a spacious interior, and great fuel economy, really begs the question on whether it’s worth spending $10,000 – $20,000 more to get the same package and luxury you’d find on what used to be inferior car brands. For many, the dream of owning a Mercedes Benz or BMW will never go away, but when we were kids, who could have foreseen a Honda, Toyota, Mazda, or Subaru with a luxurious interior? What was once exclusive to those who were affluent, can now be found on most cars that were seen as average. Luxury really has taken on a whole new meaning, but it doesn’t stop there. Performance is also another feature that can be found on four door sedans that were 15 years ago, a family oriented vehicle. You can own a Subaru Legacy with a 265 horsepower V6 engine for around $32,000, almost $8,000 less than the Audi A4 that has a turbocharged four cylinder engine with 220 horsepower. I must ask the question again, is it worth spending the extra $8,000 on an Audi when you can own a Subaru with the same comforts and styling? The Chrysler 200 has a V6 option which supplies a whopping 295 hp, completely blowing away any of the Japanese or German four door sedans in the price range of $30,000 – $35,000. But at the end of the day, all the driver really wants is reliability with a combination of some form of luxury, and Honda, Mazda, Subaru, and Toyota can offer that. These brands speak for themselves as they’ve been known for reliability for years, but now that they’ve put in nicer interiors, leather seats, and performance for competitive prices, it’s hard to see why you’d pay extra for a car that offers the same. The only major difference is the badge on the front of the car and the recognition that brand has that catches the eyes of bystanders. Heading into 2015, the consumer is going to have a boatload of options in the four door luxury sedan market in the $30,000 – $35,000 price range. Luxury is what you make it; the auto manufacturers are just making cars that help steer you into their direction. Owning an Audi, Mercedes, or BMW is a major feat, but when you see cheaper options that may offer more, it’s hard to say no. Author Mike CerraPosted on September 26, 2014 September 26, 2014 Categories UncategorizedTags Audi, Automotive World, Autos, BMW, Chrysler 200, Honda Accord, Honda Civic, Mazda 6, Mercedes Benz, Subaru Legacy, Toyota CamryLeave a comment on Is Luxury Taking On A Whole New Meaning In The Automotive World? Chevrolet has been launching campaigns to attract an assortment of consumers for years by offering cheap prices for those who have poor credit or can’t afford buying a new car due to their financial situation. While that is a noble cause, one that has probably been successful, there are major implications the auto manufacturer faces by making such offers. After the launching of their latest marketing campaign, “Chevrolet’s Dollar Menu”, they’ve unofficially solidified their fate as being the McDonald’s of the automotive world. 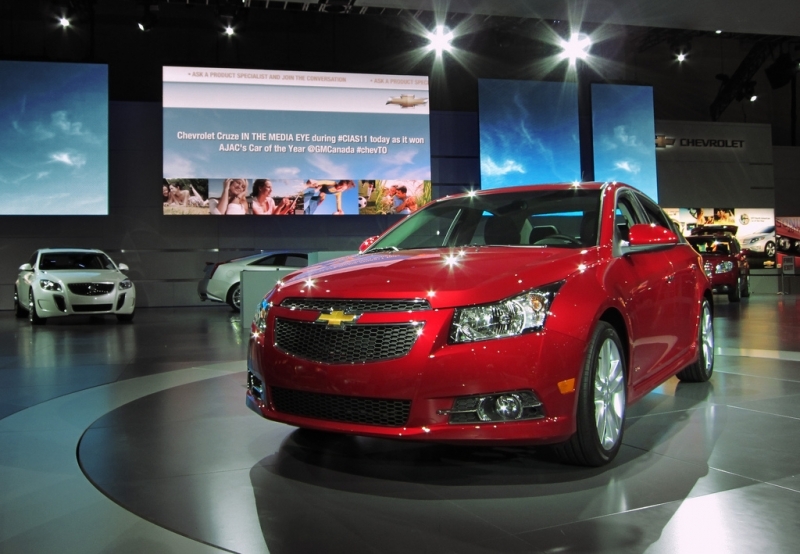 The deal is one dollar down payment in a lease offer for the Chevy Cruze and Chevy Silvarado, making them the cheapest lease offers on the market today. Forgetting about the incentives, limited mileage because of a lease, and the deal itself, let’s take a step back for a minute and let this sink in. A dollar menu for an auto brand, not a fast food restaurant, but an American auto manufacturer. With all the recalls Chevy has had to endure, and now offering some of their lineup for a dollar, they’ve now opened themselves up to the perception of being the car equivalent of McDonald’s. When it comes to the food McDonald’s offers, you could say, “It’s cheap, but in the long wrong could cause obesity”. Chevys are now cheap, but could break down 2,000 miles later. This is not the best approach for a struggling auto maker and completely makes the brand look bad by subliminally saying, “Our cars are lemons and no longer of good quality”. Chevrolet was once a proud American auto maker, the Camaro and Corvette were highly coveted by young adults, the Silverado was a very popular and durable pickup truck, and the Impala and Malibu were decent four door sedans that could hold their own against their American counterparts. Even the commercials sent better messages by going with the slogan “Like a rock”. In a matter of 15 years, Chevrolet has gone from being a respected manufacturer, to being the prime example of not buying American when it comes to cars. Instead of the dollar menu approach and sounding like a fast food restaurant, Chevy should try a strategy similar to Honda. The Honda Fit is being marketed as an affordable, yet fun and efficient compact hatchback that fills every need for young adults, as they’ve been the target of this recent advertising effort. Chevy has the Spark, Sonic, and Cruze, all with starting prices under $20,000, and this should be the basis of a marketing campaign. Honda isn’t playing the Chevy game by being a Burger King or Wendy’s, and instead has a sound marketing strategy to a specific audience who are in the market for the hatchback. The Sonic is a fun, hot, little hatchback for Chevy, and they should roll with it as being the backbone of affordable cars in their lineup. In all honestly, if a Cruze is only $1 down, I don’t think I’d be willing to pay the $169 a month as it doesn’t seem worth it, and would then think that the Sonic or Spark should be offered for $.50 or $.75 down on a lease offer. When it comes to the automotive world, there should never be a dollar menu. ‘Like a rock” was a better slogan as it promoted a durable and quality vehicle lineup by an American automaker. Chevy has a lot of work to do when it comes to brand image after the countless number of recalls, but if they really want to be respected again, they need to drop the dollar menu immediately. Auto Marketing: Are Car Manufacturers Becoming Too Much Alike? Let’s go back in time for a minute to the late 1990’s to early 2000’s in the automotive world. What has changed since those days? Are consumers more confused now than ever? Are car manufacturers becoming too much the same, losing that individuality and no longer catering to the loyal customers they’ve had for probably generations? These are the questions that no one is asking, and in an industry that is constantly changing, why have blurred lines appeared where consumers can’t decide on what the better brand is, and instead just go along with tradition? In the late 90’s if you wanted luxury you probably would buy a Mercedes Benz, BMW, or Cadillac. For the average family vehicle that was reliable and safe you’d go with the Honda, Toyota, Subaru, or Volvo. The young and dangerous teenager who wants speed would maybe look at a Ford Mustang, Chevrolet Camaro, or Pontiac Firebird. And for the person that wanted a pickup truck, Dodge, Chevy, GMC, and Ford were constantly advertising on TV to appeal to that specific person. However, today there is such a variety of vehicles in the same price range that often get forgotten, not because they’re of poor quality, but they’re neither marketed correctly nor presented as an individual car manufacturer that stands out from the competition. For example, the average consumer who has no loyal ties to one specific brand will look in multiple categories such as, fuel economy, safety, performance and price. Yet most likely, they’ll only compare the car brands and models that are most prevalent in their lives that have been marketed to them constantly over the years. 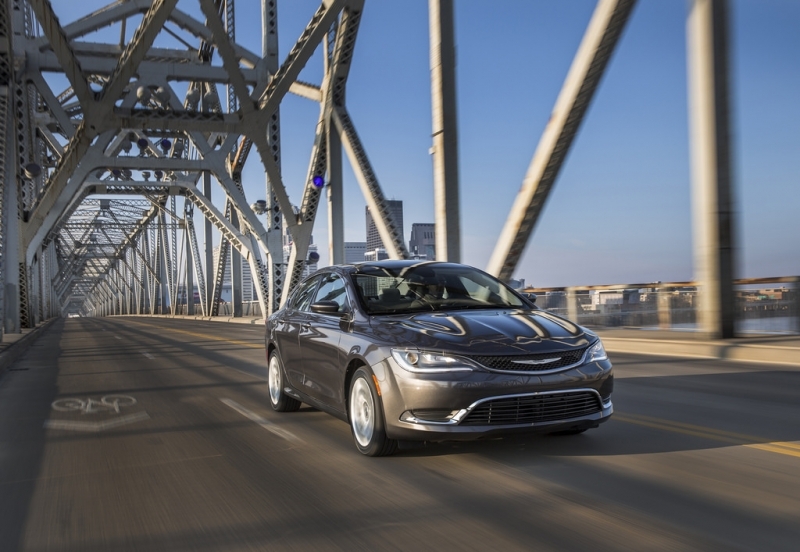 As I wrote in a previous article, the 2015 Chrysler 200 is priced from $21,000 to $31,000, putting it in the same price range as the Toyota Corolla, Volkswagen Jetta, Honda Civic and Accord, the Mazda 6 and the list could continue on for a while. What the average consumer who wants performance while still owning a four door sedan doesn’t realize is that the 200 comes with a V6 engine that supplies 295 horsepower, completely blowing away the competition in it’s class in performance. Any one of the cars listed are also subjected to the same reality that poor marketing and a person’s personal preference completely drives their buying habits. 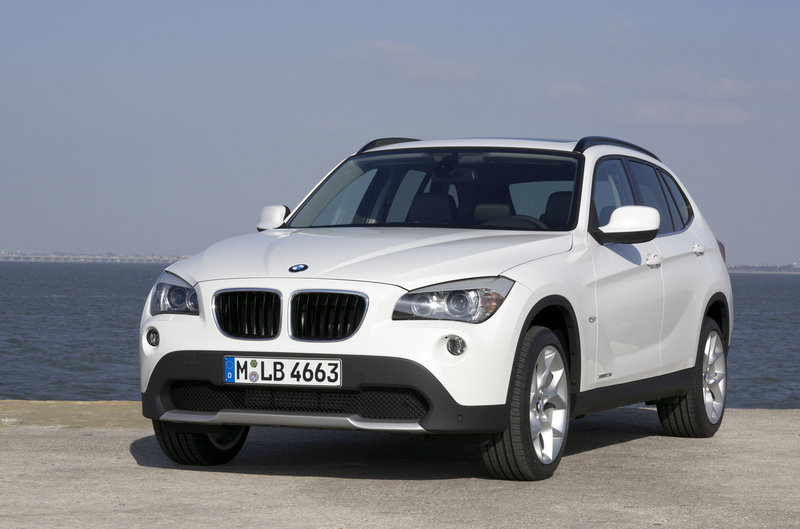 Let’s take a look at the new crossover SUV market that is constantly growing that includes the BMW X1 and the all new Audi Q3. Besides looking good, and for BMW and Audi the brand recognition, what do they really have to offer that other manufacturers can’t? Because luxury brands are now entering markets that are now rivaling Ford, Honda, Toyota, Volkswagen, and Mazda, consumers will now look to just the luxury brands and skip over what the traditional brands in that price range offer. What used to be a black and white market has now become an array of colors, and while that is great news for the consumer, the manufacturers may end up losing in the end. If the consumer wants a small compact sedan, they’re going to be attracted to the Audi A3 or Mercedes Benz CLA without looking at what the other auto brands have to offer. The sports car market has remained the same over the years, as there is still a price margin wide enough where younger consumers will look to the American muscle cars over the BMW 2 series and others in that category. The auto market has certainly become competitive, but along with it is the loss of individuality. Most have LED lights, leather seats, MP3 capability, power windows, keyless entry, and other technologies and comforts that were only found on the most luxurious of brands in the late 90’s. There needs to be better marketing strategies from auto manufacturers, whether that be target advertising, or mass marketing that reaches a variety of different people. BMW, Audi, and Mercedes Benz will be catering to a whole new audience; the audience that once bought Hondas, Toyotas, Volkswagens and Fords. TV commercials aren’t enough anymore as brand recognition is enough for consumers to get fixated on one manufacturer. Right now there are multiple options at all different price ranges, but the consumer doesn’t know it. These auto manufacturers need to become unique again and cater to the specific audience they knew would buy their brand for many years to come. For the time being, the German luxury car segment is taking over, and if the other manufactures don’t step up their game, they’ll be in a for a rude awakening if and when Audi, BMW, and Mercedes Benz introduce the smaller vehicles they’ve been selling in Europe. Author Mike CerraPosted on September 23, 2014 September 25, 2014 Categories Automotive WorldTags Audi, Auto Manufacturers, Automotive World, Autos, BMW, Cars, Ford, Honda, Marketing, Mazda, Mercedes BenzLeave a comment on Auto Marketing: Are Car Manufacturers Becoming Too Much Alike? Could Chrysler Market the 200 Better? Being a car enthusiast, I’m always researching vehicles that might be worth my money when it’s time to look for a new car. While there is already one manufacturer that I’m loyal to, I won’t let that limit my choices to better options if they should present themselves. The Chrysler 200 is a sedan that should get much more attention than it has, but because the US automaker takes the luxurious approach, they’re missing out on a major consumer group that would definitely consider the 200 if it was marketed to them correctly. Knowing the 200’s history, it was a shock to find out that Chrysler has a V6 engine version of the sedan that is priced close to $30,000. This V6 engine supplies a whopping 295 horsepower, which is uncommon considering the class that the 200 is in among it’s competitors. The Volkswagen Jetta GLI has 210 horsepower, is in the same price range, and isn’t even remotely close to competing with the 200 when it comes to power. It’s this angle that Chrysler hasn’t exploited. Yes we know the 200 has class and styling, yes it offers the newest technology to it’s buyer, but nothing is ever said about it’s power, not even subtly. The millennial generation are the buyers of the future, and what do the young guns want in a car? Speed and power, luxury, and relative affordability. Chrysler can offer that, but they’re taking the wrong approach when it comes to marketing the 200. As a millennial who wants that in a car, my future car buying decisions have been altered thanks to further research into what Chrysler has to offer. The brand new look of the 200 is appealing; it has a European and futuristic look while also maintaining the tradition of Chrysler, which is to be an American auto manufacturer. A company that is trying to portray itself as being caught up with the times must not market as if they’re Lincoln or Cadillac and appeal to the younger generations. No one in their mid 20’s knows that a Chrysler has this power, instead they look to Dodge and their Charger for a powerful four door sedan. If fuel economy is what the consumer wants, the lower trims offer mpg’s of 23 in the city and 36 on the highway while having a four cylinder engine that supplies 184 horsepower. Chrysler must look at their marketing strategies for the 200 from all angles. A 295 horsepower car is not going to be passed up by an adult in their mid 20’s or 30’s. From the commercials I see class and the promoting of a luxury vehicle that offers comforts much cheaper than the luxurious car brands. By covering all angles, Chrysler will reach all age groups and consumer audiences that are in the market for a car such as the 200. Finding out about a 295 horsepower car around $30,000 was an eye opener, and it will have the same affect for others who learn of the secret power underneath the hood of a Chrysler 200. Author Mike CerraPosted on September 11, 2014 Categories ChryslerLeave a comment on Could Chrysler Market the 200 Better? With Maserati’s sales up 357% from last year, the Italian automaker is looking to enter a new market; luxury sedans in the price range starting close to $68,000. It is no secret that Italian cars are slowly becoming more prevalent as they’re becoming cheaper and more models are storming the American shores every year. The Ghibli will be competing with the likes of the Audi A7 and Porsche Panamera, giving consumers a dilemma whether to go German or Italian. 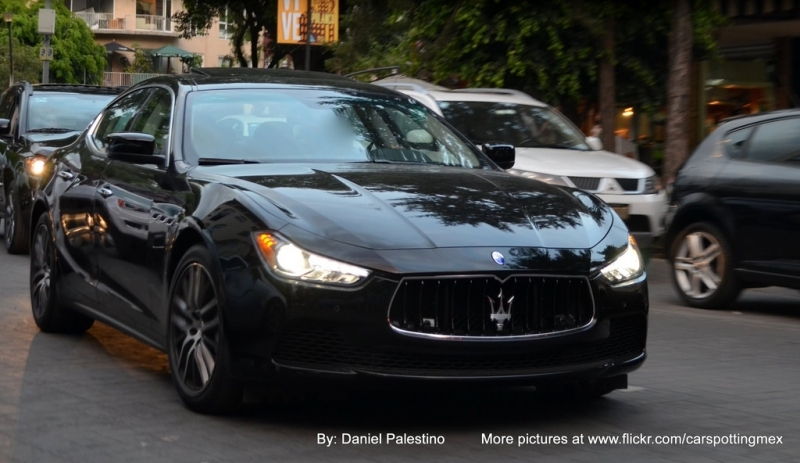 If you still prefer German engineering, maybe a Ferrari engine and a chassis and suspension of the more expensive Maserati Quattroporte will persuade you to at least consider buying the Italian sedan. However, even with the lower price, the Ghibli still doesn’t offer the more powerful twin-turbo V6 that supplies 404 hp that can be found on higher end trims of the Ghibli that are no doubt more expensive. This is really where the problem lies. To get performance and luxury you must pay more to get it. While owning a Maserati puts you in a more exclusive club, there are other options out there that won’t completely drain your bank account. Now of course you’re not going to get the same ambiance and perception that you will in a Maserati, but the Audi S4 and BMW 535i X-drive do offer a relatively cheaper alternative and you’re not sacrificing much horsepower with the “cheaper” German sedans. As an added plus, fuel consumption is much better with the Audi or BMW as opposed to the gas guzzling Maserati Ghibli. The engine in the base model Ghibli supplies 345 hp, while the Audi S4 receives 333 hp, and the BMW 535i X-drive gets 300 hp. We’re not talking about a major loss in power, as both the Audi and BMW offer the same luxury and sports car appeal the Maserati does; the name however does make all the difference. It really comes down to preference, but with the looks of things, maybe waiting a bit longer to buy an Italian car might pay off. Slowly buy surely prices are receding and if you do want a Maserati, the price tag is entering the realm of possibility.